If you’ve been subscribed to World of Warcraft for the ten years (without breaks), you could be in for a treat. Blizzard have sent a mysterious package to their most loyal players, and today we can finally see what it contains. A giant metal statue of an Orc riding an equally giant wolf. Recognise the statue from somewhere? 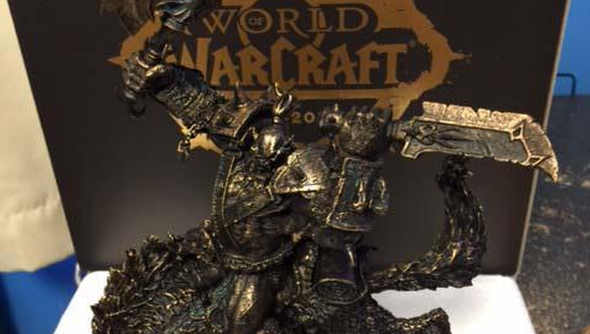 Well you should – a life size version of it guards the gates to Blizzard’s HQ. Are you a lucky owner of one of these lovely gifts?